Thursday, Dec 6, 2018, 12:30 – 1:20 p.m.
Marguerite Pappaioanou, DVM, MPVM, PhD, is an Affiliate Professor in the Department of Environmental and Occupational Health Sciences, School of Public Health at the University of Washington in Seattle, where she contributes to the research, teaching, and outreach programs of the Center for One Health Research. She is an epidemiologist and veterinarian with over 30 years’ experience working toward improving global and U.S. public health. Before coming to Seattle, she served most recently as CDC's Liaison to FDA for Food Safety. Over her career she has served 24 ½ years at CDC as an epidemiologist working on global emerging infectious and zoonotic disease surveillance, prevention and control programs, including assessing the effectiveness of malaria drugs in African national malaria control programs, designing and implementing the family of HIV seroprevalence surveys, directing a USAID funded global capacity building Data for Decision Making Project aimed at strengthening evidence-based public health policies and programs in Africa, Asia, and South America, providing assistance to developing countries in improving emerging infectious disease surveillance and disease prevention and control programs, directing CDC support of the Guide to Community Preventive Services – What Works to Promote Health, serving as Associate Director for Science and Policy in CDC’s Office of Global Health, and providing leadership in coordinating CDC's response to SARS, Monkeypox, and Highly Pathogenic Avian Influenza outbreaks. 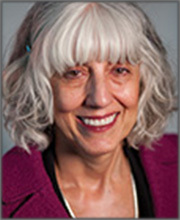 From 2005-2007, at the University of Minnesota, School of Public Health, she served as Professor of Infectious Disease Epidemiology, where she led a large NIH- and CDC- funded research program focused on surveillance for avian influenza and other emerging zoonotic infectious diseases at the human-animal interface. From 2007-2011, she served as Executive Director of the Association of American Veterinary Medical Colleges. Dr. Pappaioanou has championed and and employed a one health approach to her research and improving public health practice. She is sought out as a subject matter expert on implementing One-health to improve human, animal, and ecosystem health.